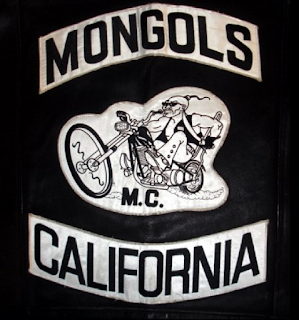 NBC is reporting that "A California jury decided Friday that the Mongols motorcycle gang should be stripped of its trademarked logo in a first-of-its-kind verdict, federal prosecutors said. 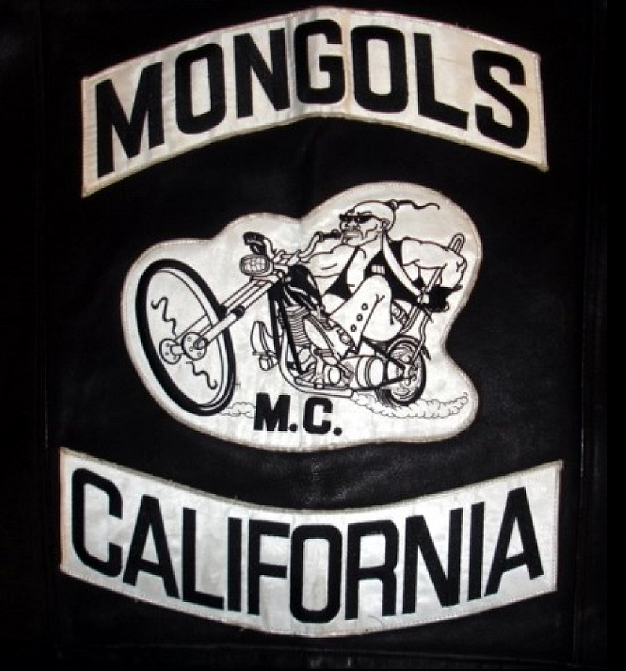 The jury in U.S. District Court in Santa Ana previously found Mongol Nation, the entity that owns the image of a Mongol warrior on a chopper, guilty of racketeering and conspiracy. The verdict caps an unusual decade-long quest by prosecutors to dismantle the gang responsible for drug dealing and murder by seizing control of the trademark they said was core to the gang's identity." I competently disagree with this verdict. It has nothing to do with fighting crime. It is about removing civil liberty and promoting the CIA's monopoly on drug trafficking. All Mongols don't sell drugs. That is ridiculous. The fact that they went after the Mongols and not the Hells Angels who have far more drug convictions than the Mongols represents unequal protection of the law. The Aging Rebel is reporting that "Mongols attorney Joseph Yanny filed a motion to overturn the verdict that found a hypothetical affinity entity called Mongol Nation guilty of racketeering. Prosecutors have asked for time to respond to Yanny’s 35-page motion. Before implementing the forfeiture, Carter also intends to hear arguments on the constitutionality of the forfeiture. All that will be debated at the February hearing." Constitutionality of the forfeiture? It is unconstitutional but that wouldn't be the first time the courts trampled on the Constitution. This is a dark day for civil liberty in the US. The flag has fallen. It's a US only decision so it doesn't affect other countries and it hasn't been appealed yet. The US doesn't have the authority to seize anything in Canada or anywhere else outside the US. I don't think they will go after the Hells Angels because the ATF is compromised. That's what Operation Fast and Furious showed the world. They might continue going after rivals. They could do that. They could also just change their name and logo or they could go off the grid. Continue to exist just not wear patches like the Crips and the Bloods. Let's hope the appeal stands. It's a bad prescient for everyone. you'd think prosecutors would have something better to do then that. Taking away their logo? Like what is that all about. it has little to nothing to do with crime. In my opinion it violates the first amendment of the American constitution, so lets hope the club appeals. What will they attack next? going down this road is a slipper slope to removing freedom of speech and a whole lot of other things. Its weird also because, as you write, the club can change a few things and be off and running. If the club had ripped off the copy rights of some one else, that's one thing, but this is just a waste of tax payers' money. those prosecutors need to find something serious to do.